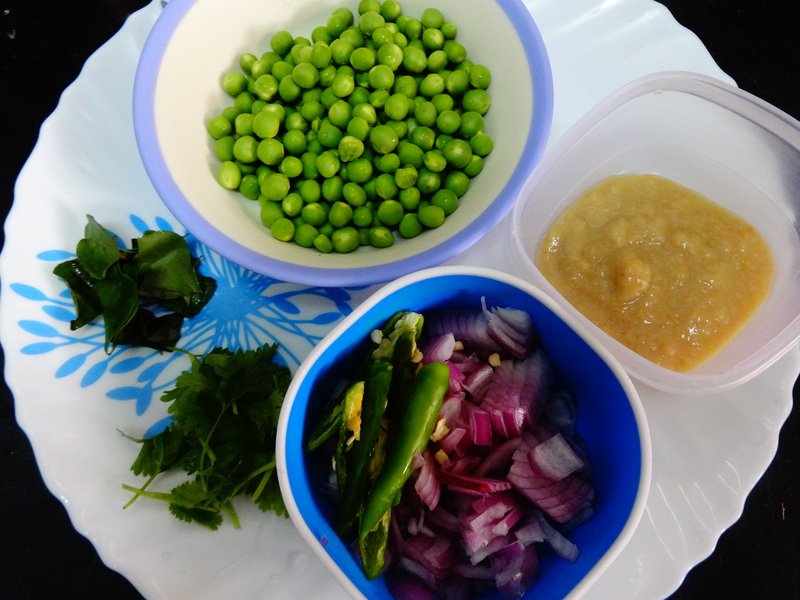 Green peas are also known as Matar in Hindi. Green peas are rich in vitamins and minerals. They provide good antioxidant and anti-inflammatory benefits. It regulates blood sugar level and protect from stomach cancer. 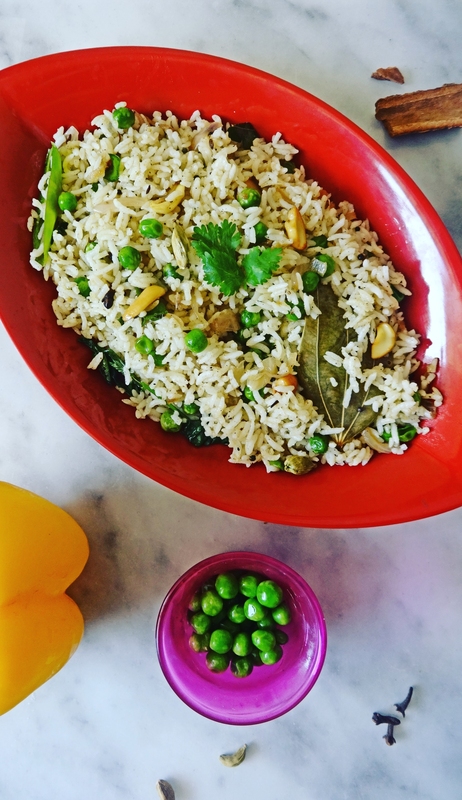 Green Peas Pulao is great for a lunch time meal. Its very aromatic, attractive and healthy. It is served with Raita (curd, salt, onions and coriander leaves). It’s a very simple recipe and it takes hardly 30 mins to prepare. Over all 280 Calories, ‘*’ represents it’s an approximate value. Turmeric and Chili powder – 1 tbsp. Mustard, cumin seeds and urad dal – 1 tbsp. 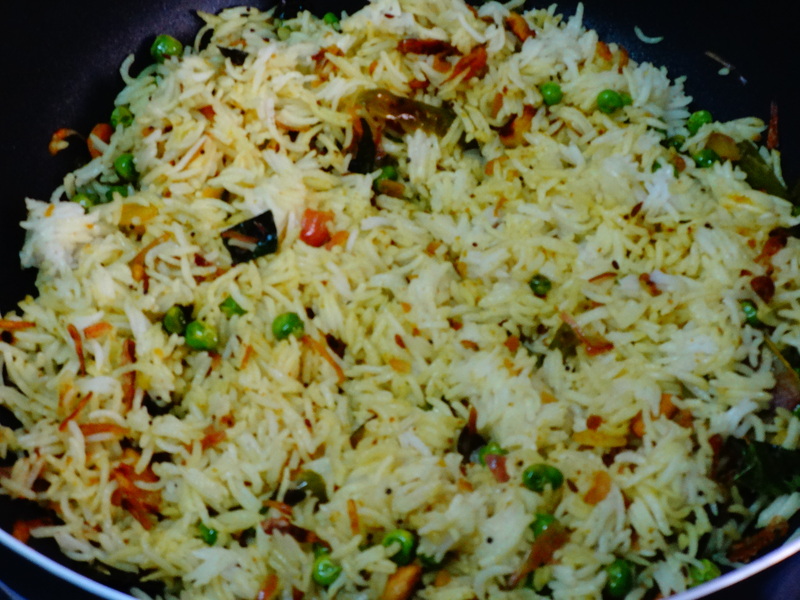 Soak the Basmati rice in water for at-least 20 minutes. After 20 mins. Add rice, 1 tbsp of oil, 1 tbsp of salt and 2 cups of water. Mix everything well and leave for 2 to 3 whistles. 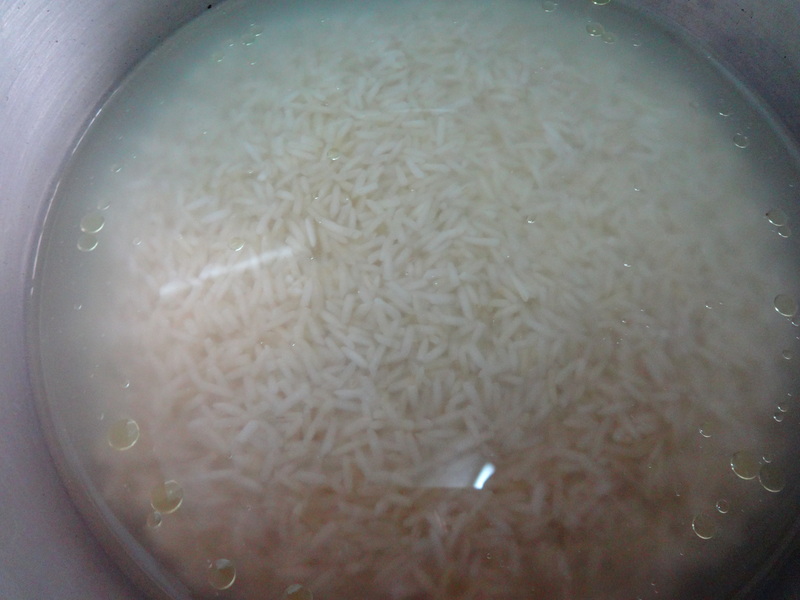 Once the rice is done, transfer into a another wide vessel, because rice might get stuck together. 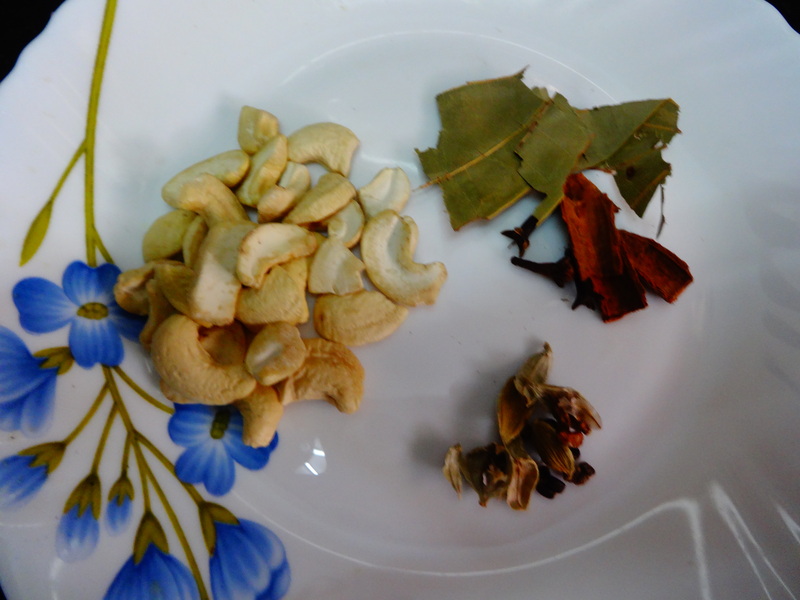 Now get the ingredients (Cashew nuts, cloves, bay leaf, cinnamon, cloves, cardamom, green peas, ginger garlic paste, onion, green chili, curry leaves) ready. 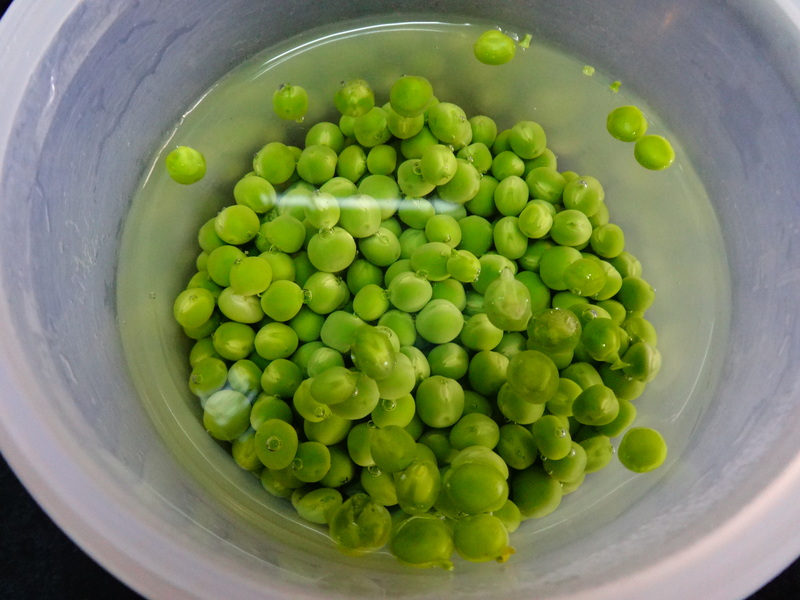 Soak the green peas in water for 10 mins. 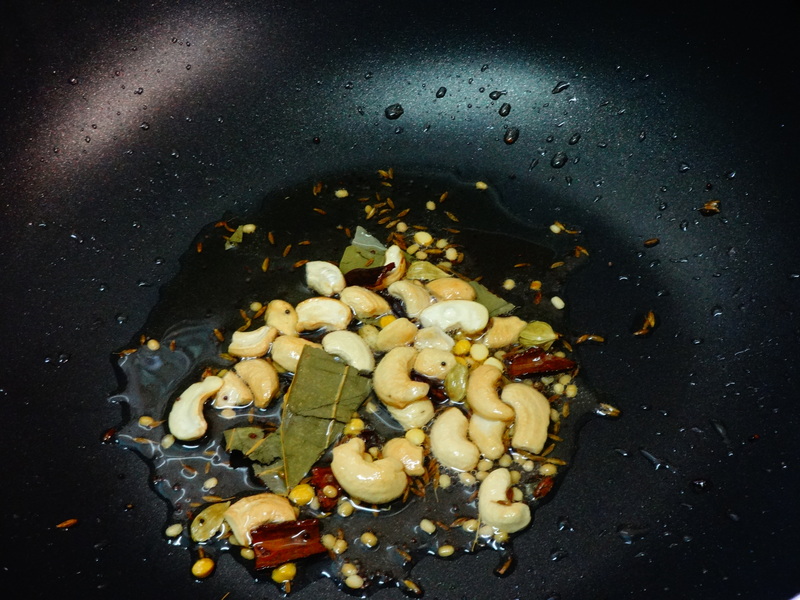 Take a wide pan, add oil and ghee into that, once it heats up, add mustard, cumin seeds, urad dal, cashew nuts, cloves, bay leaf, cinnamon, cloves and cardamom into that. Saute everything well, once the aroma starts coming. 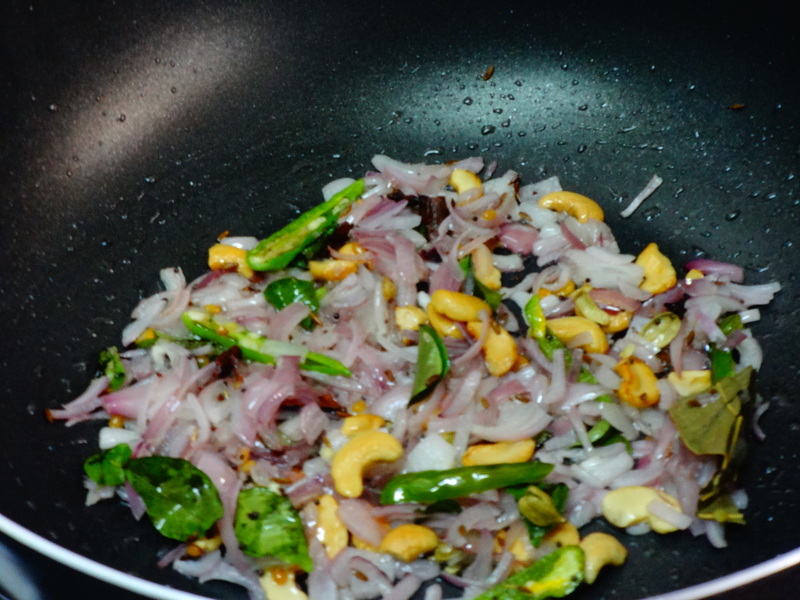 Add onions into that, saute well, after a min add ginger garlic paste into that, mix everything well for a min, add green chili and curry leaves into that and saute well until onion changes into dark color. 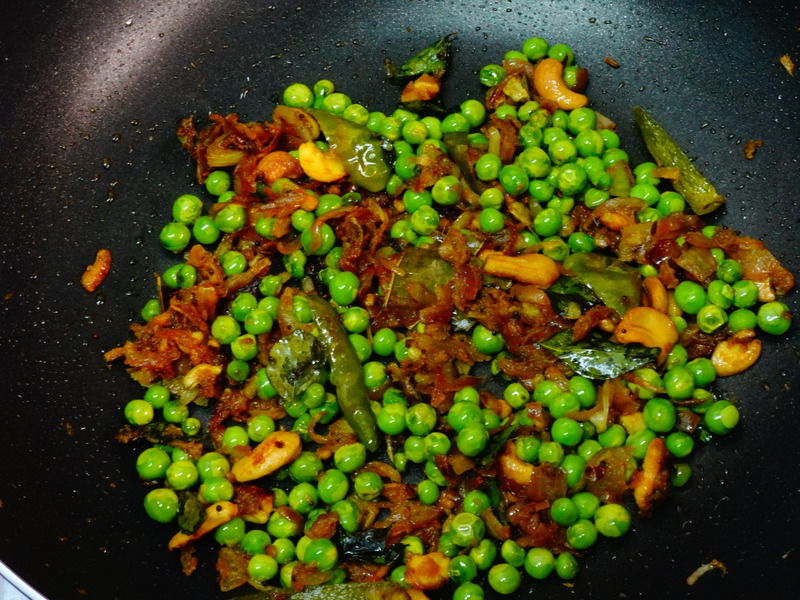 Now add the green peas into that, stir everything well and close the lid of the pan, leave it for few mins until the peas gets cooked. occasionally stir the mixture. Add salt, turmeric and chili powder into that and mix everything well. Now add the cooked rice into the peas mixture and mix well. Once everything blends well. Turn off the burner. 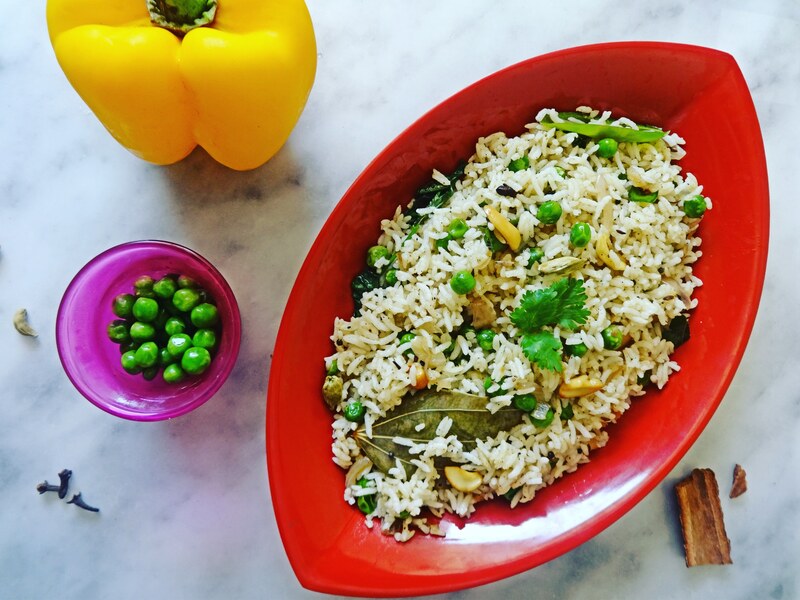 Aromatic green peas pulao is ready to be served with raita. Such a nice, easy, quick recipe. Gonna try it this weekend. That’s Great. I am sure, you will love it.